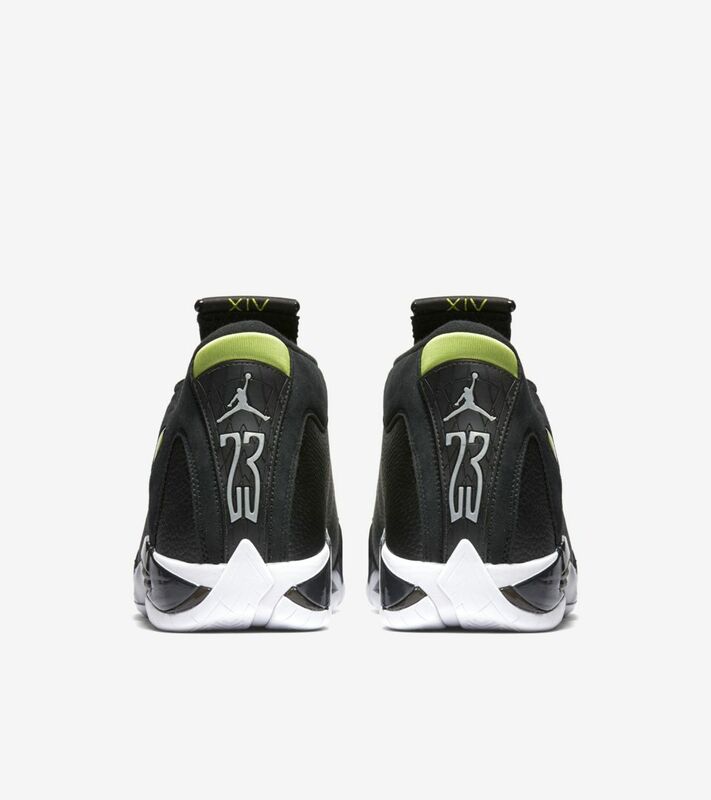 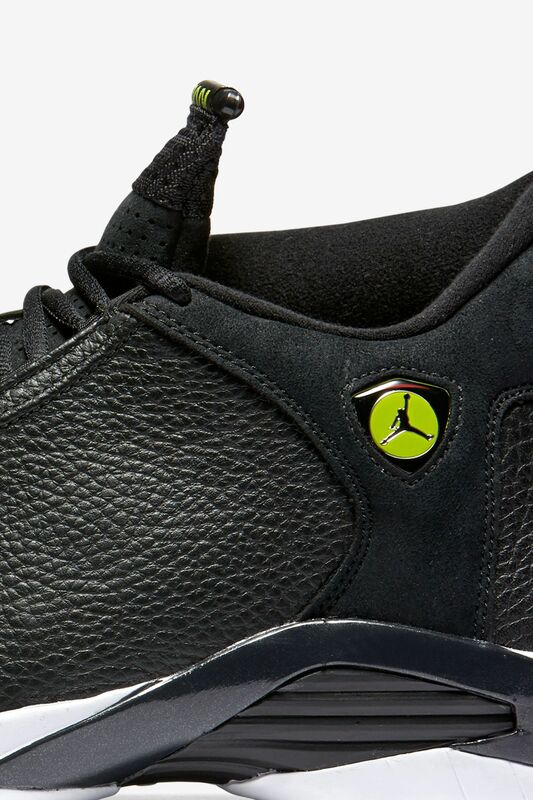 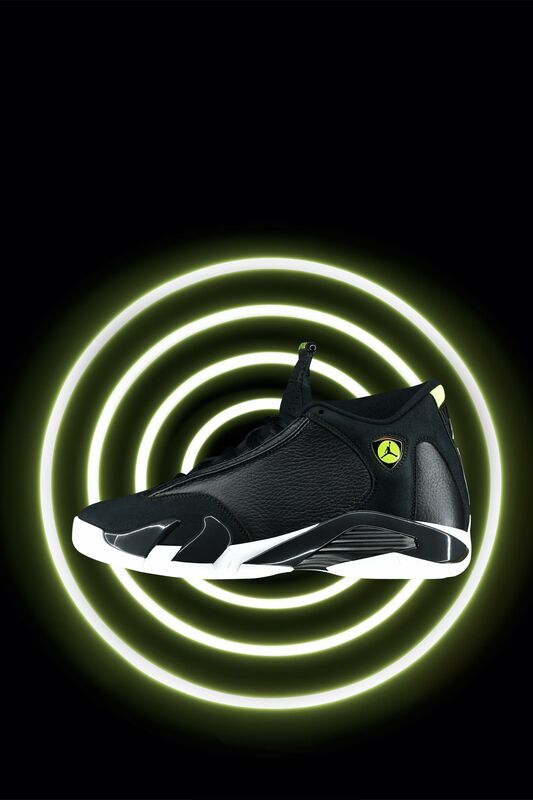 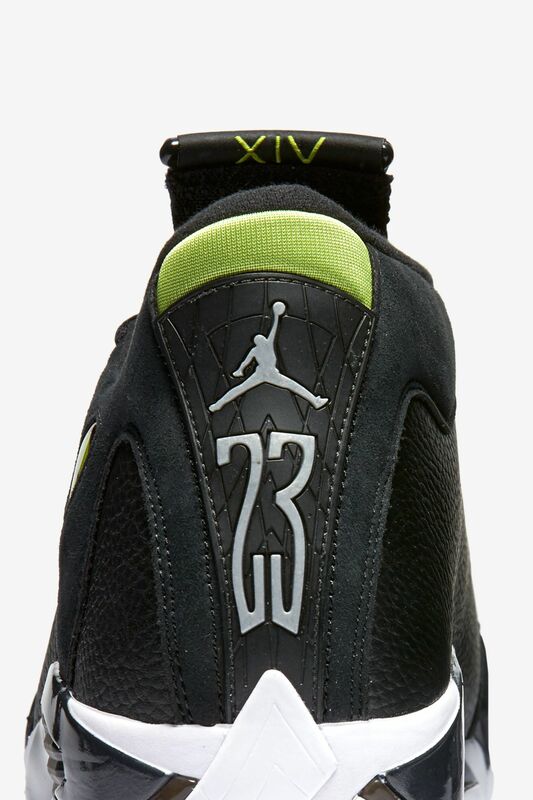 Nearly two decades ago, MJ went out in grand fashion with the Air Jordan XIV on his feet in traditional tones. 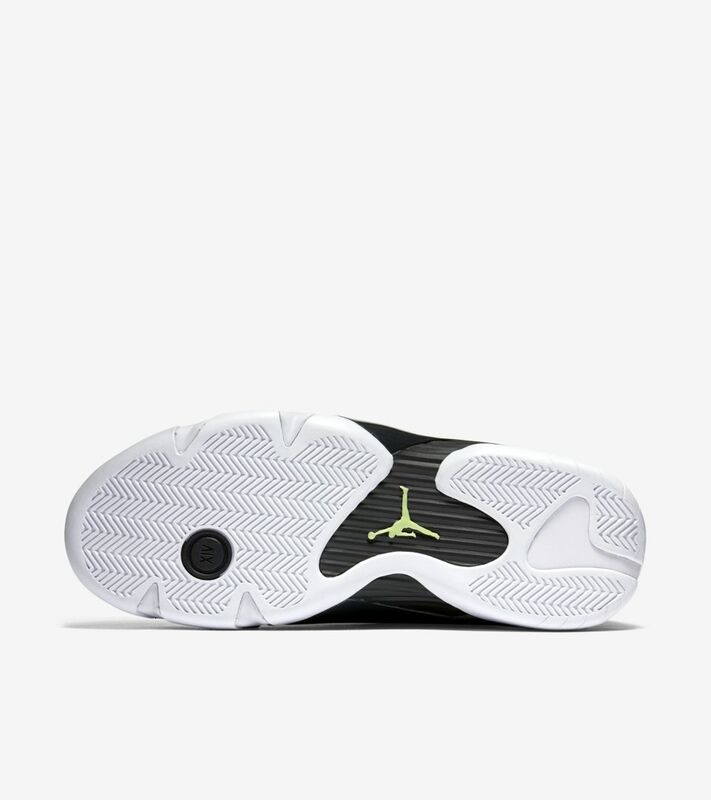 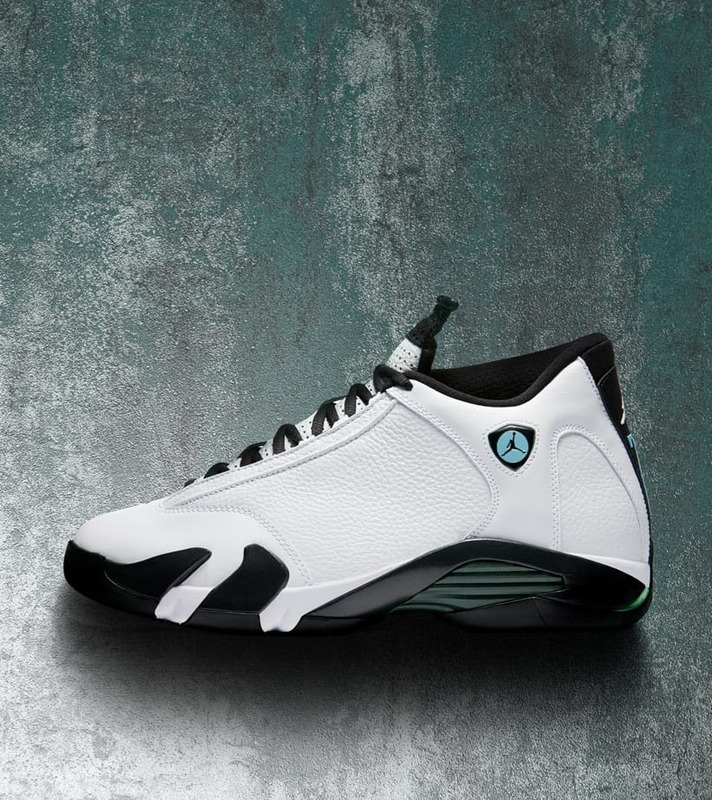 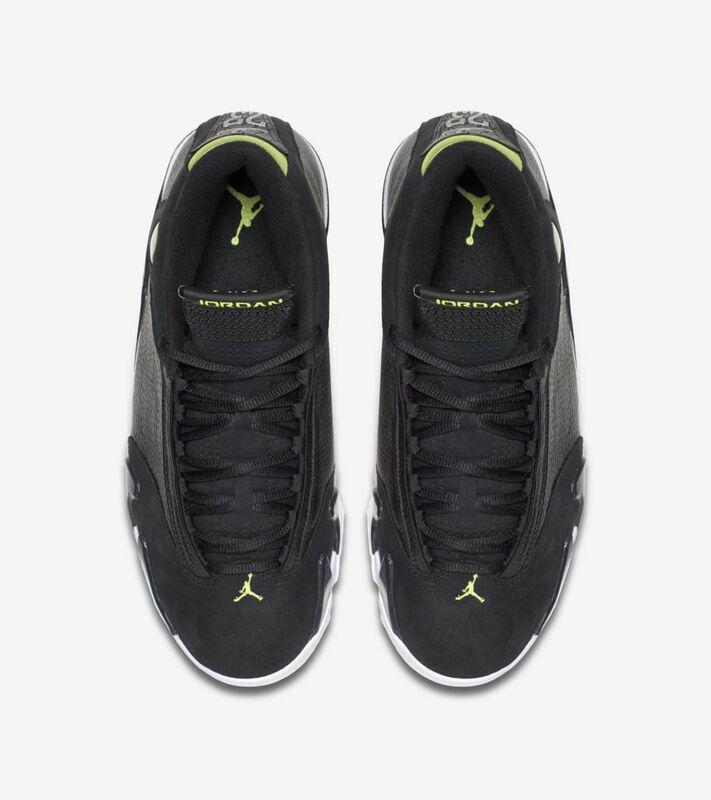 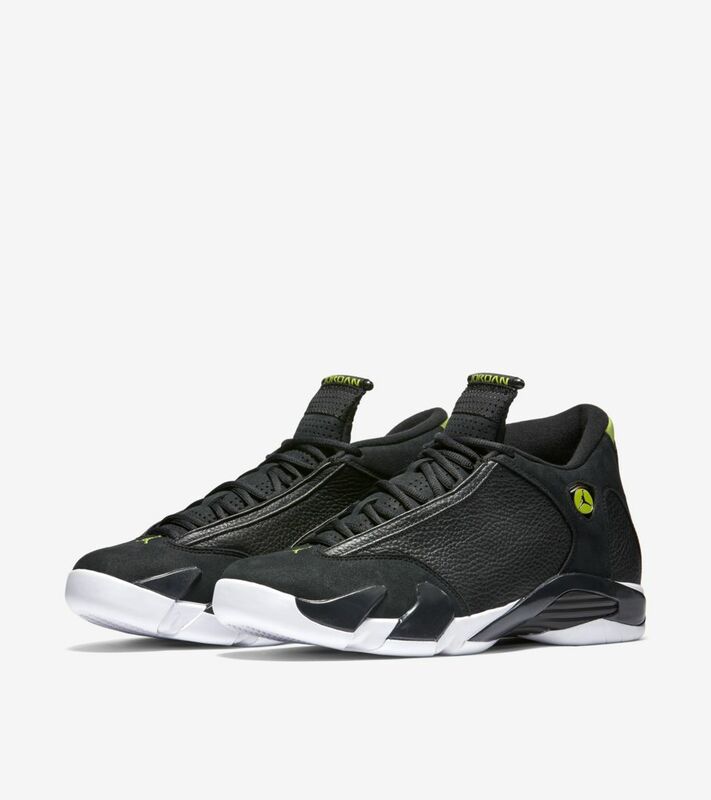 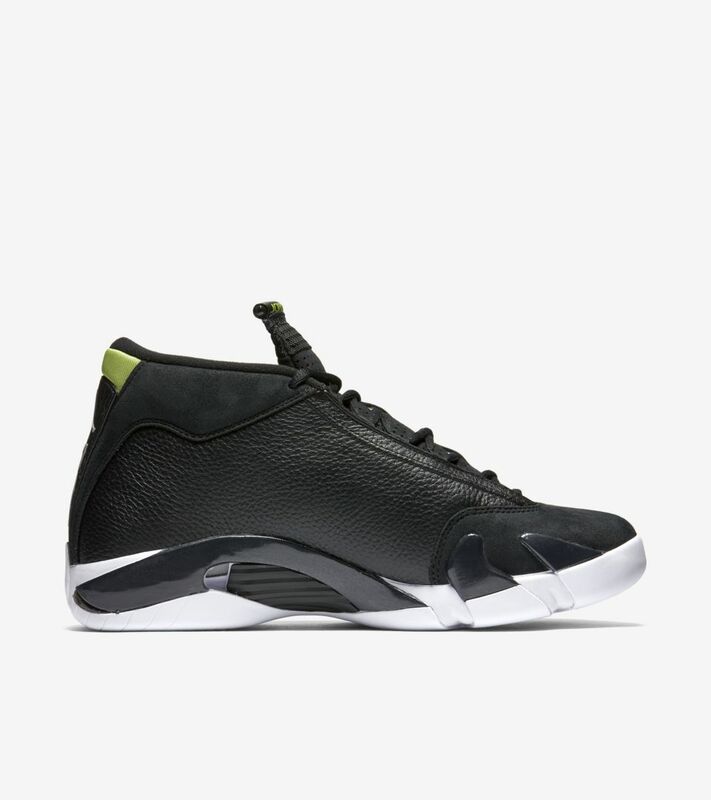 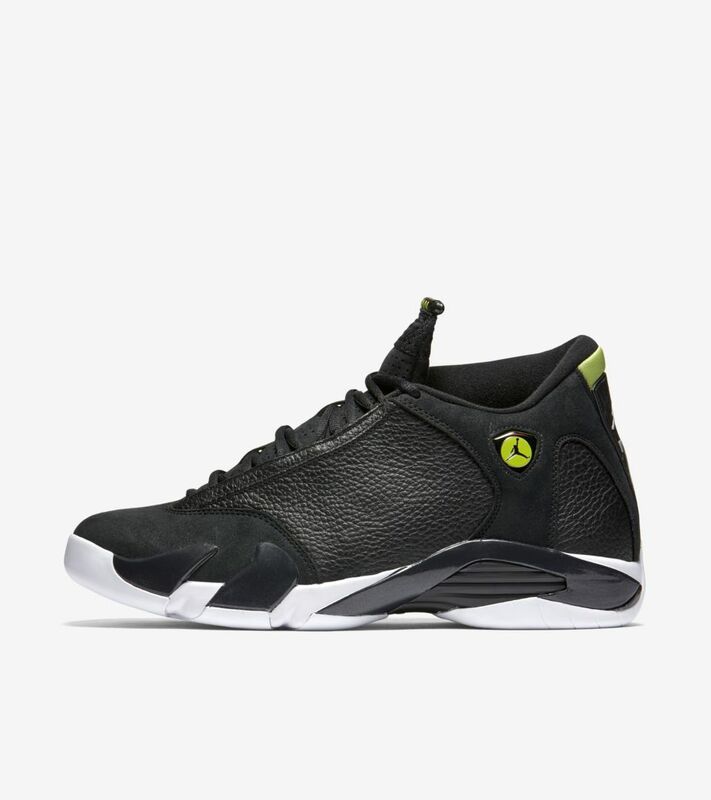 The sport car-inspired design would go on to release in multiple colorways, including a new green-accented design that changed things up with tumbled leather in place of the XIV’s unique ribbed leather overlays. 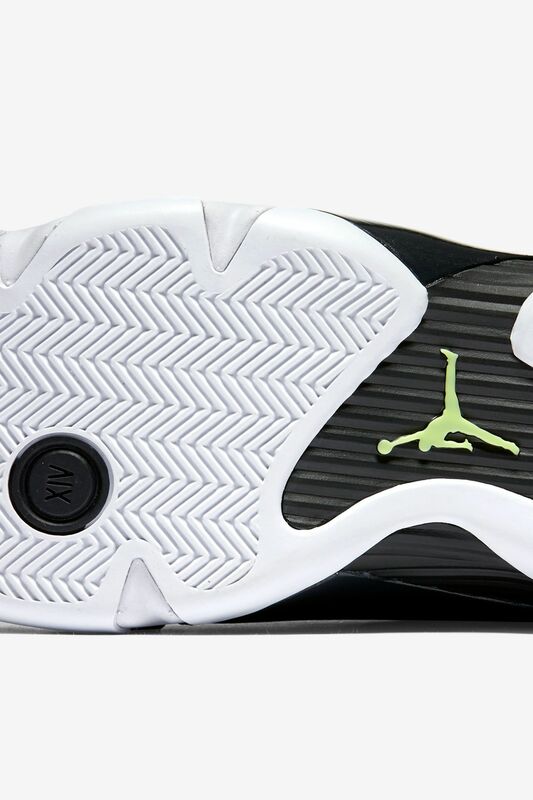 Now after 18 years in the vault, the coveted colorway is back in original form.